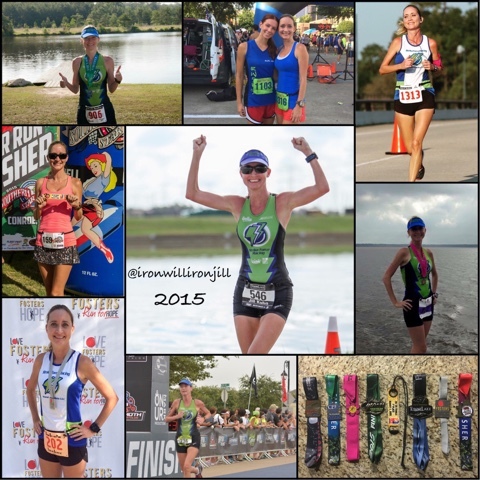 2015 was a year of greater achievements than I could have ever dreamed! 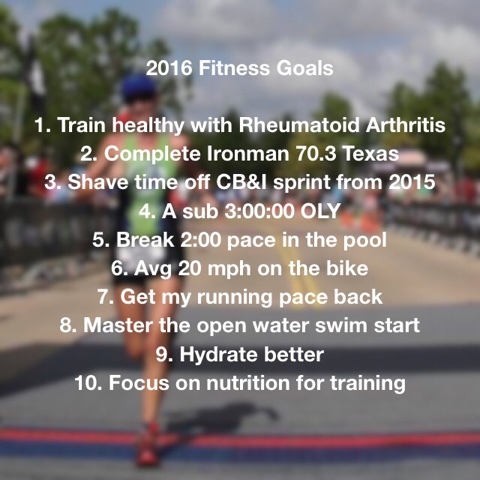 When my goal of completing my first triathlon in 2014 was crushed by my accident, and I got back to training, I knew I would not let anything get in the way of me making it happen! I didn't let the accident stop me and I wouldn't let Rheumatoid Arthritis stop me either. And wouldn't you know it I had my most severe flare up just two weeks before my first triathlon. But thanks to my amazing rheumatologist and my dermatologist, they accelerated my treatment plan and got me moving again. And then it began...the best season for triathlon and running I could imagine! I ran four 5k's and placed 1st in my AG in one and 2nd in my AG in another. My 5k PR was 22:24! I completed four triathlons - a super sprint, two sprints, and an Olympic distance. And each race I improved on my very respectable times! And my final race of the year was a 10 mile race in which I PR'd by 10 minutes with a pace of 8:04!! What a fantastic season! And I have even bigger dreams for 2016! My biggest goal for this year is to complete my first Ironman 70.3 Texas! I will give everything I've got to training and preparing for this race! I look forward to all 2016 will bring! I hope to use the lows to learn from and get stronger and the highs to motivate me to get it done! Put pencil to paper and write down your ambitions for the new year. Make them real and work for them! There is great reward in accomplishing what you set your mind to! I'm so excited to see you accomplish all you've set your mind to in 2016!! !